Bill Moos has rolled with the punches. Now he is just on a roll. Nebraska’s 68-year-old athletic director has pulled off two of the splashiest hires in college athletics in the 18 months since he arrived, all while batting away criticism for leaving a hefty debt at his previous school and fending off social media rumors that forced the administration to issue a statement of support. “I’m pretty thick-skinned,” Moos said in an interview with The Associated Press. “I had an old AD who told me when I got into the business that it’s lonely at the top, and it is.” Life at the top is pretty good right now. “Bill is delivering exactly what we sat here and said in October of ’17,” chancellor Ronnie Green said. Moos’ first move was to hire football coach Scott Frost away from Central Florida, where he orchestrated a dramatic two-year turnaround resulting in an undefeated 2017 season. Frost is a Nebraska native, and he quarterbacked the Cornhuskers’ 1997 national championship team, but bringing him home was no sure thing. Next, Moos turned his attention to basketball. He had given former coach Tim Miles a one-year extension last May with the implicit message that the Huskers needed to reach the NCAA Tournament. That didn’t happen, and less than a week after he fired Miles on March 26, he hired one of this coaching cycle’s biggest names in former NBA player Fred Hoiberg. 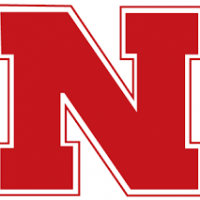 Under previous administrations, Nebraska’s coaching pay was modest. Now the Huskers have the 10th-highest paid coach in football and 11th-highest paid in basketball. Moos said when he entered discussions about the Nebraska AD job, he recognized football and men’s basketball were on shaky ground. The football sellout streak that started in 1962 was ongoing, and basketball drew some of the biggest crowds in the nation, but trouble was on the horizon. Moos grew up on a ranch in eastern Washington and was an all-conference lineman at Washington State in the early 1970s. His first athletic director’s job was at Montana, and he moved on to Oregon in 1995. He was there for 12 years, and under him the Ducks improved facilities, created new and greater revenue streams and became nationally prominent in multiple sports. He retired to his ranch for three years before Washington State hired him to build a program that had fallen far behind its peers in the Pac-12. He hired football coach Mike Leach to much fanfare in 2012 and embarked on a stadium renovation and construction of a football operations building at a total cost of $130 million. University President Hank Bounds and Green, the chancellor, ultimately issued a joint statement of support. “It had gotten to a point of being so out of hand that (they) jointly snipped that somewhat in the bud and endorsed me, which they had all along,” Moos said. Moos, who earns $1.05 million in the second year of his five-year contract, said he still has much to do. He is planning a $50 million project to upgrade and add amenities to 96-year-old Memorial Stadium, and the construction of a stand-alone football operations building is in the discussion stages. Frost’s football team is coming off a 4-8 first season, and Moos said the team probably is a year away from competing for a Big Ten title. Moos said improvement in basketball can happen quickly because it takes only one or two impact players to change a program’s direction.